Attendees of the PWIPM-NJ event, Dec. 7, 2017. PWIPM-NJ attendees listen to Bobby Kossowicz’s presentation on social media. The PWIPM-MI event also raised funds for Toys 4 Tots. 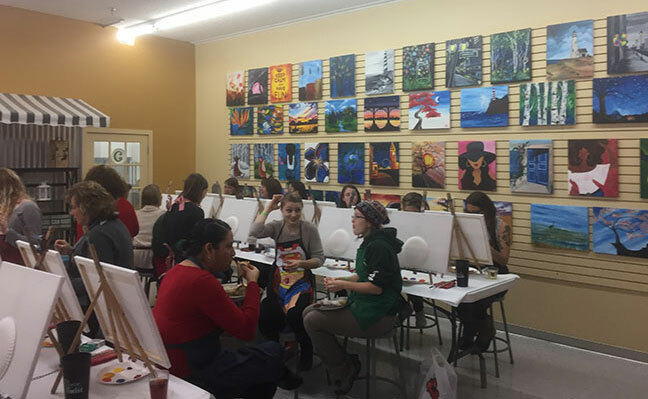 The PWIPM-MI Chapter also hosted a sip and paint session. 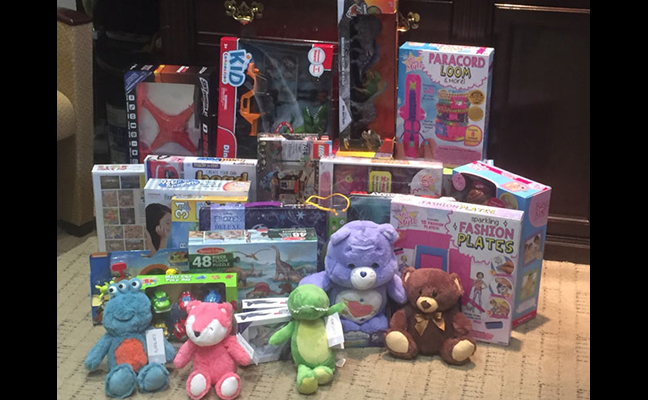 Just some of the donations for Toys 4 Tots, brought in by PWIPM-MI event attendees. The fruits of their labor: PWIPM-MI attendees. 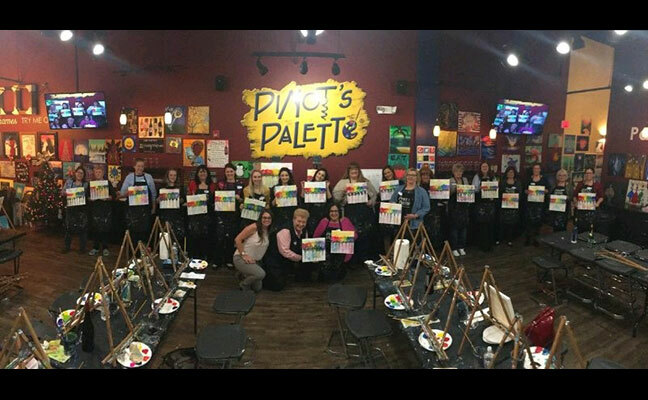 On Dec. 7, the New Jersey Chapter of the National Pest Management Association’s (NPMA’s) Professional Women in Pest Management (PWIPM) hosted its “Learn, Meet, Paint & Sip” meeting, which was preceded by a “Social Media 101” presentation by industry marketing guru Bobby Kossowicz, Environmental Marketing Solutions. We had 24 attendees, with seven pest management firms and five suppliers/distributors represented. Lisa DiDomenico from Target Specialty Products, Carmen Eloscofe-Riyad from Environmina Pest Control and I have been planning and organizing the meetings. There’s a strong national PWIPM presence with well over 1,000 members, and some states already have very successful PWIPM chapters. 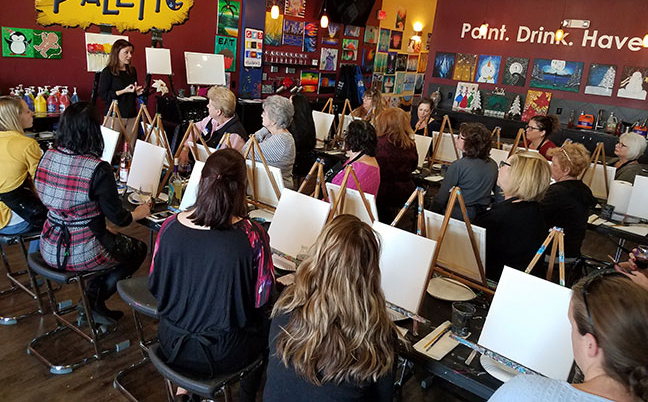 Lisa, Carmen and I felt that New Jersey women could really rock this initiative, and build a group that would nurture and support the growth of females in our industry. It is somewhat selfish on our part: We have a growing, secure and stable industry; it’s phenomenal. I think I’m speaking for all three of us by saying that we started this because we want to show women how attractive our pest management industry is, and help the women inside our industry grow and be even more successful. It is difficult to attract and retain good talent in any industry. Studies show that committed, engaged employees are people that have social interaction related to their work, a support group that they can trust, and a mentor that helps them with their growth. We saw that a local PWIPM-NJ group could accomplish all of this: support group, mentor opportunities and social interaction. We know our group will not only help our members to grow professionally, but it will help our industry — and the companies within our industry — to retain this great talent. New Jersey Pest Management Association (NJPMA) Executive Director Len Douglen and Associate Director Ken Healy have been amazing in their support. When we started this back in May, I emailed Len to see whether we could get a table at the NJPMA Clambake. He emailed back with that, plus an opportunity for us to talk about PWIPM-NJ at the Clambake, newsletter space, email support and Ken created a page for us on their website (NJPMA.com/npma1/pwipm-nj). Gotta love those guys! 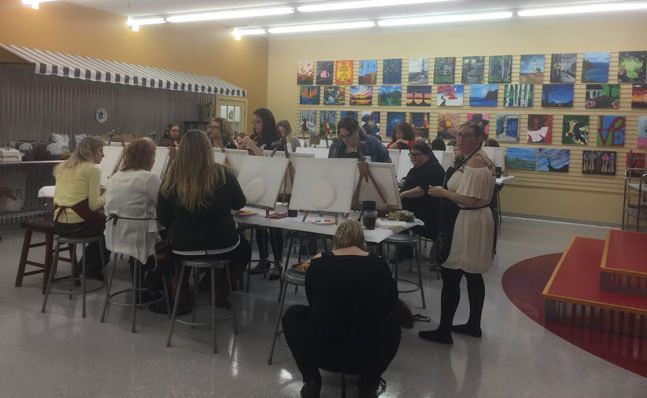 This was our second meeting, and we chose to do a LEARN, MEET, PAINT & SIP meeting because it was a bit more low-key and a lot of fun. It was a great afternoon. Bobby Kossowicz led an interesting session on how our companies can capitalize on social media to grow our businesses. There were people meeting people for the first time, and also people finally being able to put a face to a name. There were people who’ve been in the industry for over 20 years, and others for only a few. It was beyond satisfying watching everyone share and contributing to the conversation. It is the support resource Lisa, Carmen and I are looking to build. People interested in becoming part of PWIPM-NJ: Membership is free to any woman working in the pest management industry. Suggested meeting topics, formats, and locations – what type of information and resource is needed. I also wanted to shine a light on the Michigan PWIPM chapter, which hosted a Toys 4 Tots fundraiser on Dec. 10. 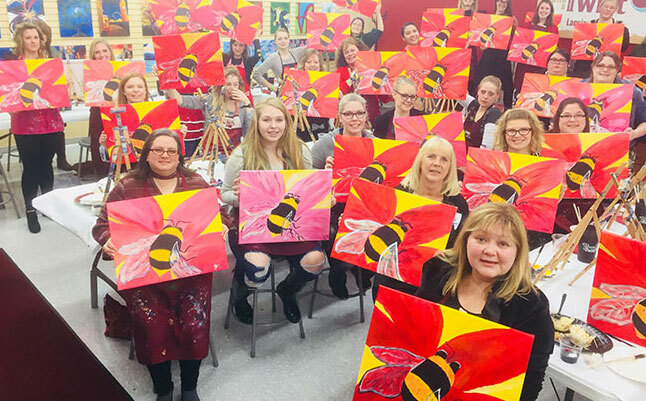 Coordinator Pam Blauvelt of Griffin Pest Solutions notes this was their first event, and it was a total success: 33 women representing three firms and the Michigan State University Entomology Department. If you want more information about these events, or getting a local PWIPM chapter off the ground, you can email me at mvongas@chemtecpest.com for more information.